While searching for inspiration for some new canes, I came across an old chinese pattern book that I hadn't looked at in ages. 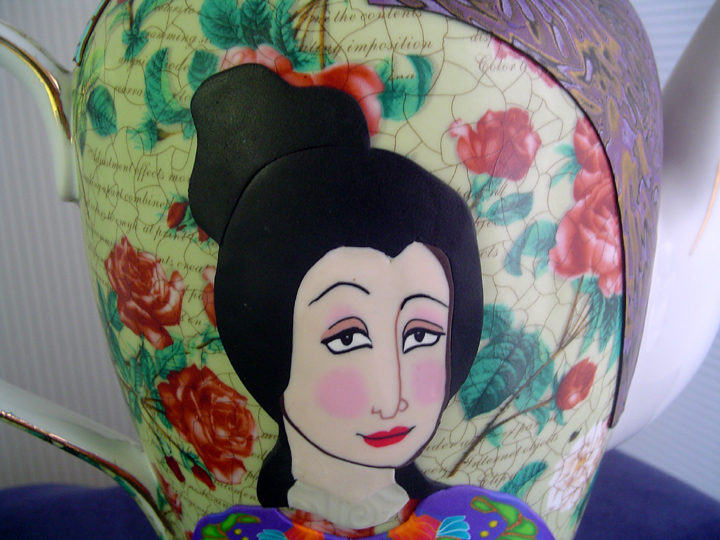 As I flipped through the pages, I decided to create a teapot featuring some ancient Chinese beauties. I've been wanting to do a series like this for a while so I guess I'm finally ready to start on it. Right now, I'm working on a teapot in that theme. I've decided to post a few pics as the work progresses. 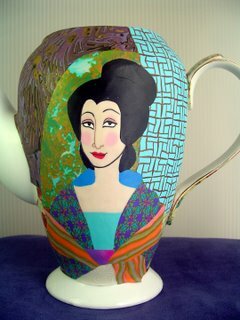 I've got the one side of the teapot covered and starting on the other side. This is just the base of the detailing. After the first baking, I'll still be going back in and carving details and backfilling them. There will be quite a few more steps before I will be able to say this piece is complete. Your work is just stunning. Thanks for sharing. ps you might want to turn on the 'word verification' function to avoid spam comments like the previous one.